Terms & conditions: Valid Monday 24th to Sunday 30th October 2016. 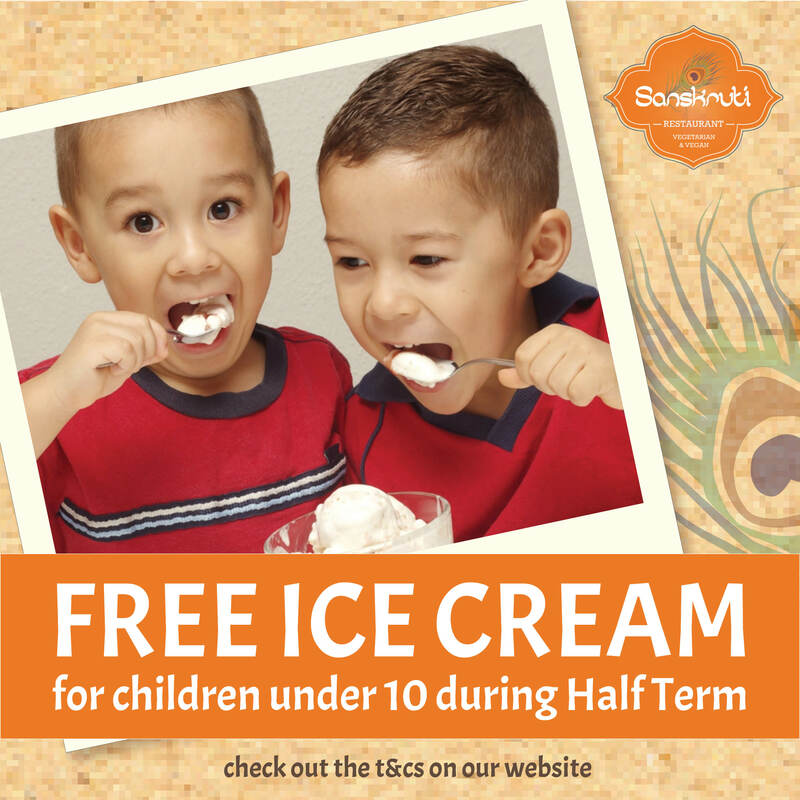 Claim a free ice cream when you purchase a meal at Sanskruti Manchester and Sanskruti Liverpool. Choose any of the following flavours: Strawberry, Vanilla, Chocolate and alternative vegan options: Vanilla, Chocolate, Blueberry & Mango-Raspberry. This offer does not include any other desserts and cannot be used in conjunction with any other offer. We operate a fair use policy in relation to this offer and reserve the right not to serve anyone who our staff believe are abusing the spirit of the offer. We also reserve the right to amend or withdraw the offer at any time.